Conditions similar or worse than before the Ash Wednesday and Black Friday bushfires, are expected.” Victoria had been sweltering in excessive heat on and off since the beginning of the New Year. On Friday 30th January, bushfires swept through Gippsland, east of Melbourne. 29 homes were lost and 2200ha of vegetation and plantation forest were burnt. “But, hey,” said the Premier, “we haven’t lost any lives, so we must have been doing the right thing.” Sadly; we haven’t been doing the right thing and for many years now no back burning of forest has been allowed to take place. Some local councils, even had laws in place so that dead trees on the side of the road were not allowed to be taken for firewood. They were left to dry out and become hazardous material. We just had to watch all the rubble pile up. To appease a certain minority sections of the community, no new dams have been allowed to be built and no other forms of water retention have been put in place. A prolonged drought means that the state of Victoria has very little water. The few dams that we have, are around 30 per cent full. Restrictions are in place so cannot have a green lawn around our property (no watering of lawns allowed) and only able to water the few plants we have, twice a week, for two hours. Farmers used to run their cattle in the Victorian state forests and keep the undergrowth down. However; that was banned some years ago again at the whim of the minority, as they might upset the vegetation. It was alleged that even the bridges over the creeks and rivers were removed so as no one could go in. One story that has come to hand in the aftermath of what has happened is that a few years ago a man was fined $50,000 plus costs for making a fire break around his house and having the nerve to cut down approximately 270 trees. In the area where he lives, all houses were lost except his. Now there are no trees for miles and miles and miles. Small comfort for the horrendous experience he went through to protect his property. 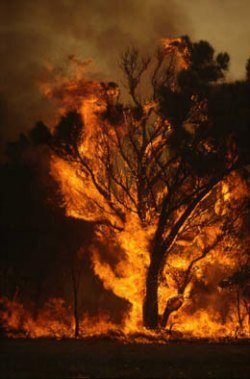 Over four hundred and forty five thousand hectares of forest have been burnt out and up to one million native animals could now be dead, not to mention the farm animals and pets. I am not saying that this fire could have been avoided as unfortunately for Australia it is part of our climate culture. What I am saying, is that with some sensible rules in place and fireman allowed to do their job in the cooler months, we may not have had as many deaths nor loose so much land. Looking at the influences for Victoria (12 November 1851: 10.30 am LMT Melbourne, Victoria, Australia) for both the Capricorn Ingress (21 December, 2008: 11.03.28 PM: Zone -11: Melbourne) and the solar eclipse, 26 January 2009: 6.54 PM: Zone -11: Melbourne Victoria Australia) there were several indications that were of concern. First there was a rather nasty pattern in the heavens at the time of the Ingress. 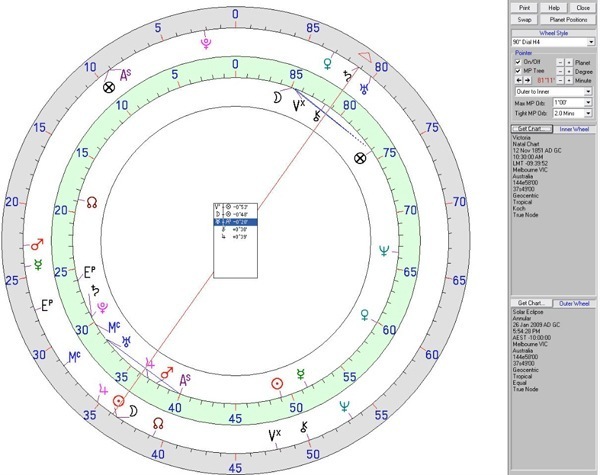 Wedged between Pluto/Sun on 0 degrees and Uranus on 18 degrees of Pisces, was Saturn and Mars, indicating some sort of intervention by a higher power. Pluto would be the most powerful aspect in this case and in Ebertin’s book, “The Combination of Stellar Influences,” he states, rage or fury of destruction, bodily injury or harm, and the death of many people. In the midst of this mid-point stellium was Saturn (21 Virgo 40) semi square to Mars of Victoria’s chart at 7 Leo 40) Ebertin describes this aspect as tests of strength and cases of death. Jupiter in close aspect to Mars, would explain the ferociousness and the quickness in which these fires came upon the people. Most who died had no chance, no warning. The fire ravaged whole townships with such ferocity that nothing was left standing in its wake. It was all over, before they even began. Also on this Ingress, the Mid-Heaven was on 28 Taurus 30, a fixed star named Alcyone, which forms part of the Pleiades. Doris Greaves gives some good examples of the fixed stars interpretation in her book, “Regulus Ebertin Cosmobiology Beyond 2000.” Placement of planets or personal points on the Pleiades section of the heavens is considered to be one of the most unfavourable sections of the zodiac. However, this is a bit of a doubled edged sword as on one hand there is the loss of many people and their jobs, but on the other hand there will be so much more work in the rebuilding of towns and amenities. The other pattern which has been around for some time is transiting Neptune = Victoria’s Mercury. This is often a deceptive pattern and hard to define. Some of the manifestations are: deception, faulty judgement, confused ideas and failure through incorrect behaviour. Much of this describes the failure to take significant precautions for the bushfires seasons, over many years. In fact one could say that we created our own Armageddon. 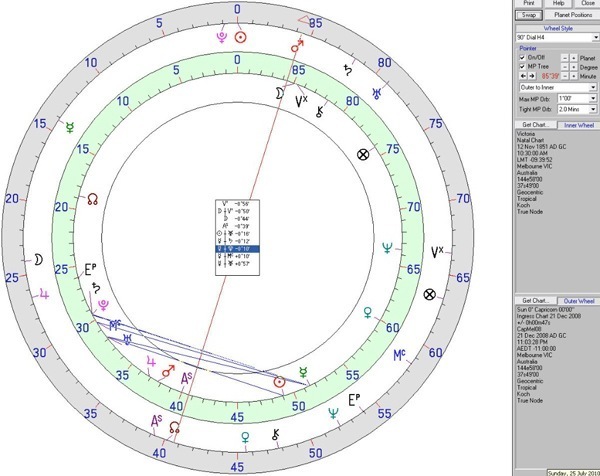 The solar eclipse in January had a more chilling tale to tell, with the eclipse falling across the Ingress Saturn/Mars of Victoria’s chart. I raised my eyebrows somewhat when I noted that if fell on Australia day and the day of the Chinese New Year and wondered what that meant. An omen indeed! A week after Australia’s worst disaster, the death toll stands at 181 people dead. Almost 2000 homes were destroyed, 7000 people displaced, and 61 Businesses destroyed along with much State/Community infrastructure. 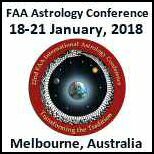 Cosmobiolgy is a unique style of astrology as it does not favour any particular theme. One can use it for a psychological insight into our personality or use it to look at any lifetime events. Mundane astrology is the branch devoted to studying the planetary cycles and patterns reflected in world events. The ability to predict the influences for the country in which you are living in can be quite helpful when deciding your own future. The people of Victoria are very passionate and amid our devastation we will rise to meet the crisis. Already we have stories of heroism, generosity kindness and compassion and yes we will grieve but like the phoenix, we will rise from the ashes.